What are the Pros and Cons of Dentures vs Implants? When considering your options for solving particular dental challenges, it’s important to be familiar with the pros and cons of dentures vs implants. Here we attempt to clarify these options and give you the information you need to make a decision based on your personal preferences. For numerous years, dentures were the only solution for missing teeth. 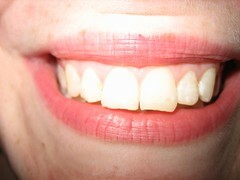 You most likely recognize some individual in your life that has had detachable teeth, commonly a mom, dad or grandparent. Dentures are custom built to fit your mouth and also are secured by a adhesive. They are usually taken out every day prior to going to bed and soaked over night for cleansing. Regardless of just how great dentures are, they never feel 100% like your actual teeth. Nonetheless, some individuals delight in the versatility of being able to remove their teeth as required. Understand, however, that the longer your dentures are out of your mouth, the weaker your jaw ends up becoming without the pressure of teeth to sustain. You may be a great prospect for dentures if your jaw is too weak to sustain even more oral implants. Nonetheless, realize that the most effective denture adhesive does not function consistently well and your dentures may slip once in a while. 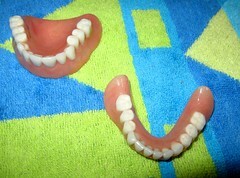 Similar to many other decision, there’s a number of choices where it concerns picking dentures. High quality must be of primary consideration as you want your teeth to look terrific, really feel excellent, and last as long as feasibly possible. Dentures will certainly be necessary for day-to-day tasks, like eating and smiling, so it’s not the time to necessarily go with the cheapest option. Dentures are expected to last around 5 years, so the majority of people will certainly have to change at the very least one set throughout their time using them. When implants and dentures are made use of with each other they are called overdentures. Overdentures use the most recent in oral modern technology so dentures really feel as near to natural teeth as feasible due to the fact that they clip on your implants. While conventional dentures are secured utilizing temporary adhesives which commonly experience sliding, overdentures never ever slide or move because they are fastened to a long-term dental implant. Implants, on their own or when made use of with dentures, make eating, speaking, as well as various other tasks less complicated and more comfortable as compared to conventional dentures. 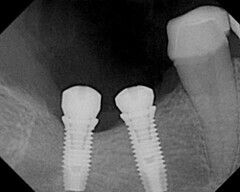 Oral implants must last a life time. Actually, some dentists give a life time service warranty on the dental implant. Nevertheless, the crown typically has to be changed, making implants a far more permanent option compared to dentures. Generally, implants are extra pricey compared to dentures, however, they will certainly last much longer and feel more natural. When selecting implants or dentures, you will certainly take into consideration elements like your way of living, your spending plan, and your health and wellness. It is necessary to determine just where you are willing to compromise as well as exactly where you’re not, since you may not discover a service that completely fulfills all your preferences. The bright side is that the majority of dentists use complimentary consultations to completely review your alternatives with you, and aid you to evaluate the advantages and disadvantages.